There is something incredibly satisfying about getting your hands in the dirt and watching your garden grow as you nurture each plant and tree. Gardening can reduce stress, burn calories and allow you to spend time outdoors while also beautifying your yard and maybe even growing some of your own food. 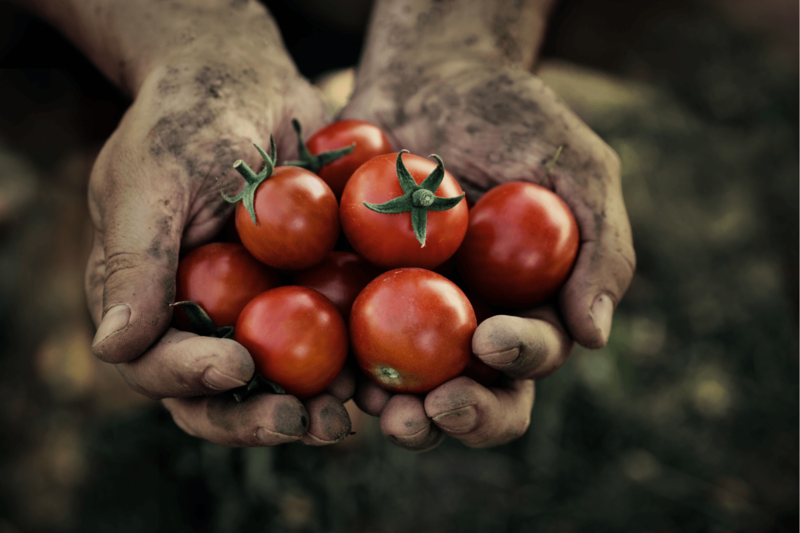 There are lots of benefits in spending time in your garden and very few downsides, but one of those downsides is that gardening can wreak havoc on our hands. So much so, in fact, that there is actually a term for it: gardeners’ hands. 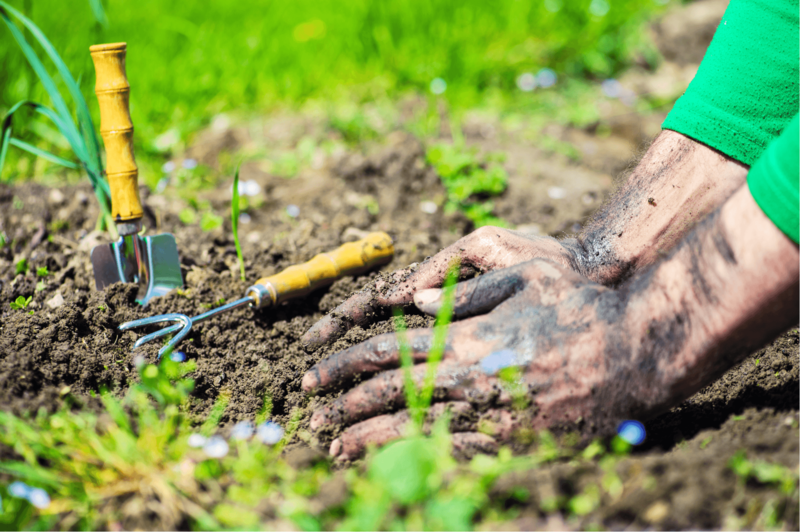 Folks who spend a lot of time gardening often find that they experience some combination of the signs that point towards gardeners’ hands, which include dry skin, calluses, cracking skin, rough skin, dirt in cracks and under their nails, and nails that become brittle or split easily. Part of the problem is that dirt readily absorbs moisture (think about how quickly it absorbs water from irrigation), so it is going to steal moisture from your hands. Working with fertilizers can also strip moisture, as does the frequent hand washing that usually comes along with pulling weeds and working in the dirt. Additionally, when you use your hands as tools for digging, pulling weeds, hoeing, raking and other gardening tasks, your skin thickens in areas that need more protection when performing these tasks regularly. Of course, there are also the scrapes and cuts from thorns and branches, the dirt that seems to be permanently embedded under your nails, blisters and irritants. So, what is a gardener to do if they want a beautiful yard but they do not want to sacrifice their hands to get it? 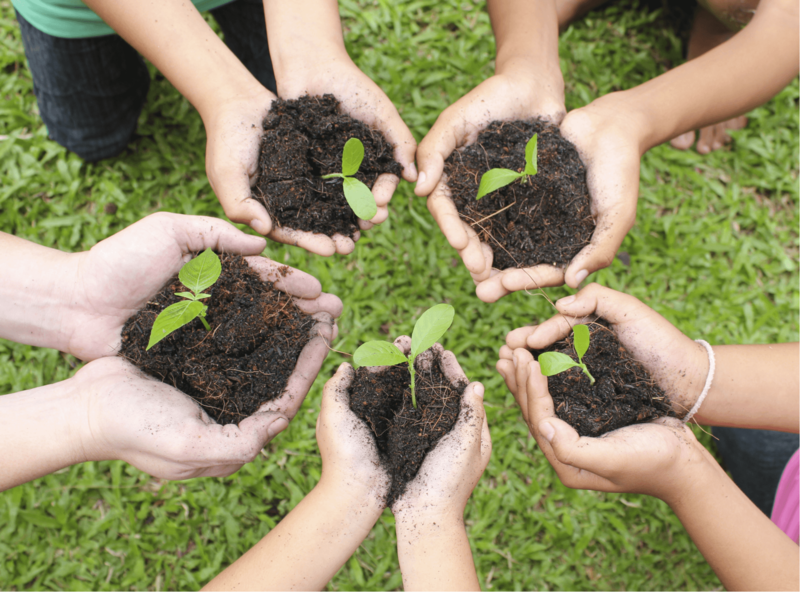 Read on to find out everything you need to know about hand care tips for gardeners to help you avoid gardeners’ hands. Here are 10 things you can do to help keep your hands clean, soft and healthy. These tips are sure to help, but keep in mind that you have to actually get into a hand care routine and do it regularly to see results and prevent gardeners’ hands in the future. Always apply sunscreen before going outside. This goes for your hands as well, whether or not you will be wearing gloves. Not all gardening gloves provide enough sun protection to protect your hands for hours in the garden, so it is necessary to go the extra step to put sunscreen on your hands before heading out to the garden. This will help you avoid sunburn, sun damage and premature aging of the skin on your hands. 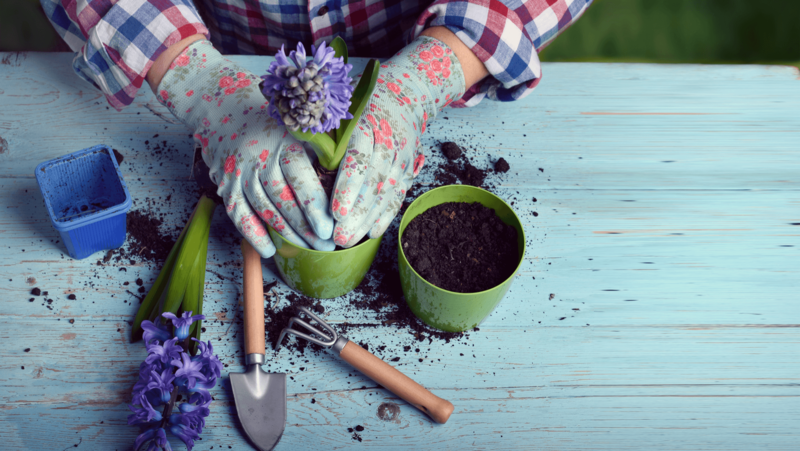 Some gardening tasks are more difficult when wearing gloves, so it is understandable that many gardeners prefer to forego the gloves and get their hands right in the dirt. However, wearing gloves can help you avoid blisters, calluses, sun exposure, scrapes, cuts, getting dirt under your nails, getting your hands dirty, having your nails break or split, and dry, cracking skin. With all of these benefits of wearing gloves, it is definitely worth donning them when performing most gardening tasks. It is usually best to have more than one pair of gloves so that you can choose the pair that is best suited for your current task. For example, thicker gloves provide more protection, but thinner gloves allow for more dexterity. Bonus tip: If you put lotion on your hands before you put on your gloves, it will be easier to wash away any dirt that finds its way through the fabric or under the cuff. 3. Get a nail hardener. Nail hardeners are easy to find and easy to use, since they go on just like nail polish. They are clear, so even folks who do not wear nail polish can use them without worrying about it looking like they have a manicure. You can find nail hardeners at any drugstore or beauty supply store, and the instructions on the bottle will let you know how often to apply that particular brand. Regularly using a nail hardener can keep your nails from getting brittle or splitting. 4. Use cuticle oil or cuticle balm. While you are at the drugstore picking up nail hardener, look for some cuticle oil or cuticle balm as well. Regular application of one of these products will help keep your cuticles soft and moisturized while also nourishing your nails. You can also use coconut oil for your cuticles and nails if you happen to have some on hand. 5. Use a nail brush or toothbrush to clean your nails. You can pick up an inexpensive nail brush or soft toothbrush while you are at the drugstore so that you will have it on hand whenever you garden. As soon as you finish your yard maintenance tasks and are back in the house, use your nail brush or toothbrush with a little liquid soap to gently clean the dirt from under your nails. Do this every time you garden to keep your nails clean and presentable. The surest way to keep your hands soft is to exfoliate them often. There are plenty of exfoliating soaps and scrubs on the market, so you will have no problem finding an exfoliator that will help you avoid gardeners’ hands. You can also make your own skin-softening scrub by mixing a little sugar or salt with just about any oil you have on hand, including the olive oil that is probably in your pantry right now. If your hand care routine has been lacking and you are now dealing with cracking skin or calluses, use a pumice stone to gently file them down to keep them from getting worse. The other key to soft skin is to moisturize it regularly. This means putting lotion on before you put on your gardening gloves, applying it again right after washing your hands when you are finished gardening, and regularly using lotion throughout the day whether you are gardening or not. If lotions are not quite cutting it, move up to creams, and if creams are still not enough, look for a salve that is specifically made for gardeners’ hands. If you want to take your moisturizing to the next level, apply shea butter or a thick cream to your hands before you go to bed, and sleep with cotton gloves covering your hands. 8. Keep ointment on hand. Scrapes, small cuts, insect bites and irritated skin are a regular part of gardening, which means you need to keep ointment on hand at all times. This will allow you to quickly address these issues and allow your skin to being to heal. 9. Make an oatmeal soak for your hands. 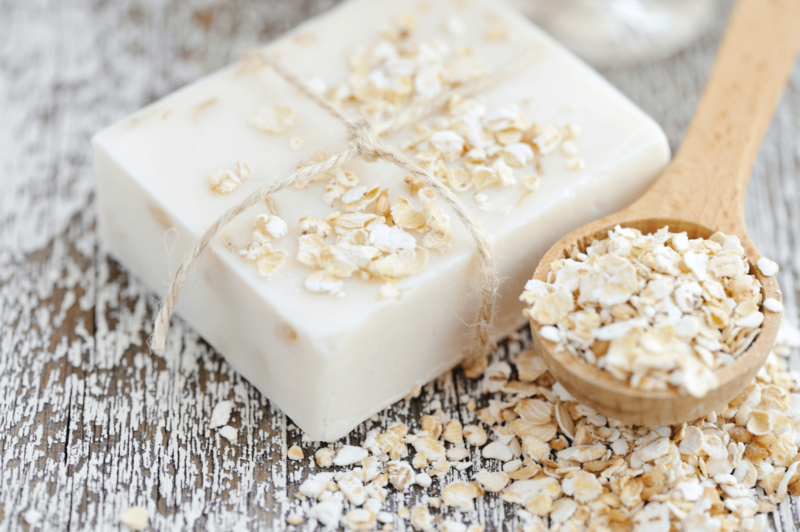 If your skin is particularly dry, itchy or irritated, you may be able to relieve these symptoms with an oatmeal soak. This is the same concept as an oatmeal bath for your body just miniaturized for your hands. Simply mix warm water and oatmeal in a bowl, and then place your hands in the bowl to soak away the soreness and itchiness. Be sure to moisturize your hands after you finish soaking them. 10. Pamper yourself with professional manicures. You work hard to keep your garden and landscaping looking its best. You should not have to sacrifice your hands in the process. Even if you are not the manicure type, making an appointment every few weeks or once a month is a great way to let someone else help you keep your hands clean, healthy, presentable and feeling good. If your hands are stained from berries or other fruits, try using distilled white vinegar or lemon juice to remove the stains. If your hands are stained from gathering walnuts, try using a little toothpaste as a gently abrasive hand cleaner.